Last May, our A Level students participated in the Literary Competition “Jose María Pemán” which consisted in the elaboration of a narrative about one of “Las Terceras” of José María Pemán, published by the author in THE ABC newspaper the 16th of July,1977. 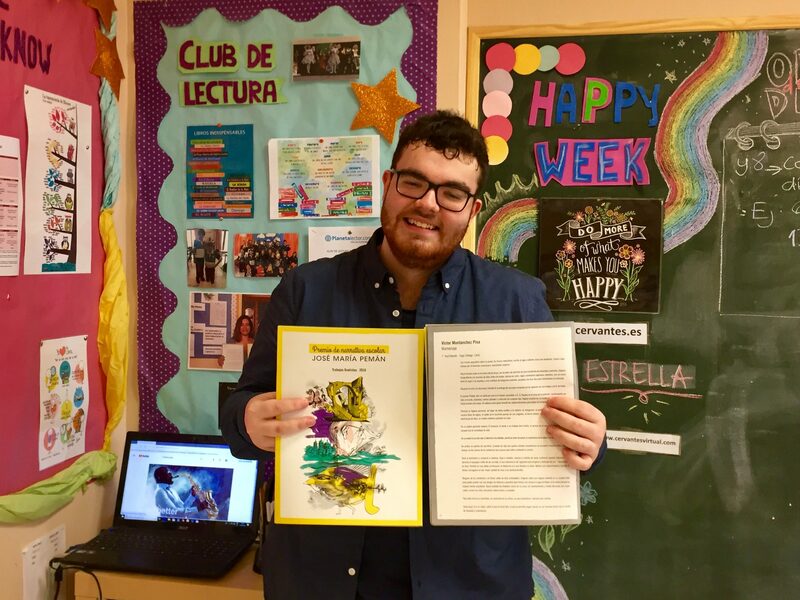 Students all over Spain participated and we feel very proud to announce that our student, VICTOR MONTÁNCHEZ PINA, has placed finalist on national level and his work has been published. We are thrilled to inform of his success. Another merit to add to his academic record!